A cold case involving a missing private investigator threatens to unearth skeletons from Rebus's past in this "must-read" mystery (Tana French). Former Detective John Rebus' retirement is disrupted once again when skeletal remains are identified as a private investigator who went missing over a decade earlier. The remains, found in a rusted car in the East Lothian woods, not far from Edinburgh, quickly turn into a cold case murder investigation. Rebus' old friend, Siobhan Clarke is assigned to the case, but neither of them could have predicted what buried secrets the investigation will uncover. Rebus remembers the original case -- a shady land deal -- all too well. After the investigation stalled, the family of the missing man complained that there was a police cover-up. As Clarke and her team investigate the cold case murder, she soon learns a different side of her mentor, a side he would prefer to keep in the past. 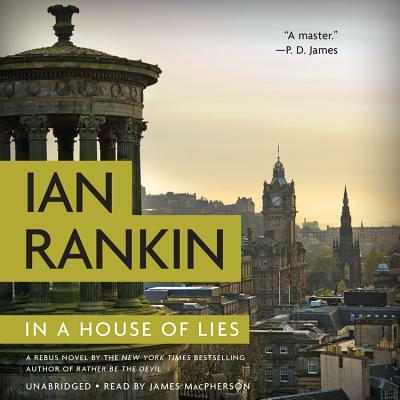 Ian Rankin is a #1 international bestselling author. Winner of an Edgar Award and the recipient of a Gold Dagger for fiction and the Chandler-Fulbright Award, he lives in Edinburgh, Scotland, with his wife and their two sons.